Tucker and White Continue the Accumoto Podium Presence at Petit Le Mans! 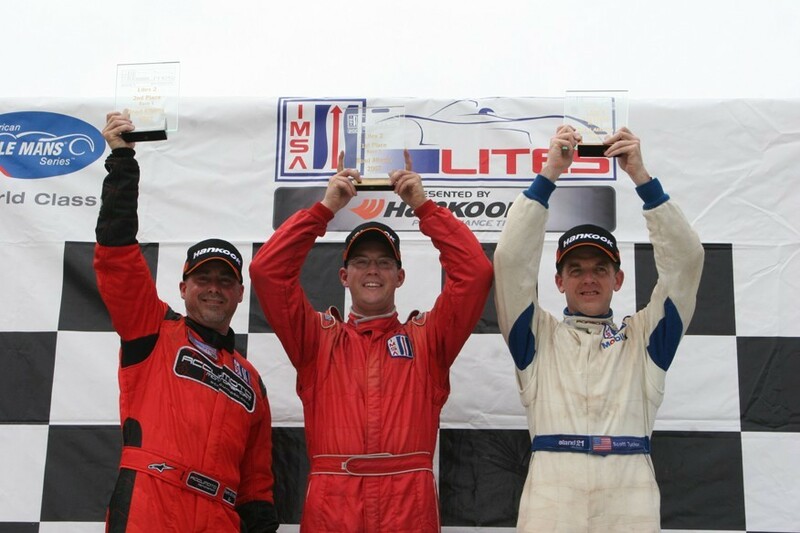 Scott Tucker and Mark White used their collective talents to capture three L2 podium spots in the 2007 IMSA Lites Championship presented by Hankook during the Petit Le Mans at Road Atlanta. The highlights included Tuckers P3 qualifying effort and 3rd place L2 finish in Round nine. White added to the championship mix with a 2nd place finish in Round nine and a strong win in the rain for round ten. Tucker of Leawood, KS is also a current competitor in IMSA's GT3 Cup Challenge and did double duty as he worked through a busy three race weekend on the high speed Road Atlanta circuit. He was beaming with excitement after the round nine race. "My daughter said I had better bring home a trophy and I am happy to do just that!" he quipped while hurrying from the Lites podium celebration to prepare for GT3 Cup qualifying. White was also elated with his result in the round nine race. The Madison, WI native was at the top of the time sheets all week and added an exclamation point in qualifying by capturing the pole with an L2 lap record of 1:24.2 around the 2.54 mile track. His smile during the podium celebration proved to be a bit more "Cheshire" than his teammate's. "I am pleased with 2nd place. I got muscled off track at the start and the ride through the grass did substantial damage to the front end. The car picked up a serious "death push" and I am happy to have survived the race. I don't think I have ever been more relieved to see the checker! The perfect weather of the first race gave way to rain for the 2nd Lites race of the weekend. The tenth round of the series mimicked the previous two rounds at Mosport with intermittent showers resulting in a large amount of on-track carnage. Tucker stayed out of trouble and seemed to have a solid P3 finish in hand until a rain induced electrical issue allowed Eric Vassian to sneak by on the last lap to knock him from what would have been his second podium finish of the weekend. He still finished an impressive P4 in only his third start in the series. The precipitation however, seemed to be just what White needed to propel him to his second rain soaked win in the series. "It was all about staying out of other guy's "moments'." White said after the race. "I knew that Robby (Card, the driver White is battling for the L2 championship) and I would have a clean race so I just worked to get by him and bring it home." Proving that his impressive wet weather drive at Mosport was no fluke, White was in the process of "bringing it home" at the rate of over three second seconds a lap faster than Card when the race ended under double yellow due to a late race incident involving an L1 car. When asked about his impressive record of 15 podiums in 18 starts, White was quick to point out the following "I really want everyone to know just how hard the Accumoto team worked this weekend. Doug (Crew Chief Doug Turnbull) and Josh (Mechanic Josh Truitt) did double duty and gave both Scott and I great cars. That commitment is by far the biggest component to that record. Another factor is the great sponsors I have. Their support makes the difference in our being here. 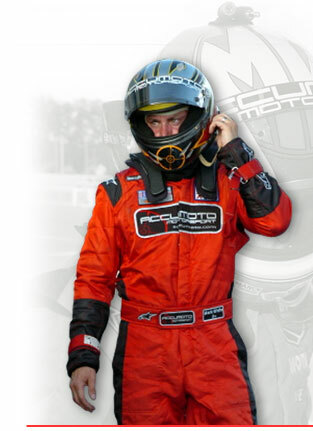 I would like to thank everybody from Team Janica Racing, ThrottleThreads.com, Duraform and Performance Drink! White and Card will decide their points battle when they meet again at the Monterey Sports Car Championship at Laguna Seca Raceway in Monterey, CA for the final two rounds of the 2007 IMSA Lites Championship presented by Hankook. Both races take place on Sunday, October 21st.